Chicago, IL - The first of several funeral services will be taking place shortly for Rabbi Avrohom Chaim Levin, Rosh Hayeshiva of Telshe Yeshiva Chicago and a member of Moetzes Gedolei Hatorah of Agudath Israel of America, who passed away this morning at his home. Rabbi Levin is believed to have been 86 years old and had been in poor health for an extended period of time after contracting a serious case of pneumonia several years ago. Since that time, he has experienced difficulty with both his mobility and his breathing and made only rare appearances in the yeshiva. Rabbi Levin was the son of Rabbi Leizer Levin, the respected leader of Detroit’s Jewish community, and a devoted student of Rav Elya Meir Bloch of the Telshe Yeshiva in Cleveland. Hand picked to be one of the leaders of the yeshiva’s Chicago branch when it opened over 55 years ago along with Rabbi Chaim Schmelczer, Rabbi Levin guided Telshe Chicago to a position of prominence in the world of Torah. Rabbi Levin was known for the clarity of his shiurim as well as a strong emphasis on proper behavior, personal dignity and respect for Torah. Chicago resident Shimmy Atlas who considered Rabbi Levin to be his rebbe, said that students in the yeshiva understood that there were certain standards that needed to be upheld at all times. Atlas remembered another incident where Rabbi Levin had been dancing in one of the inner circles at a wedding and found himself having a hard time making his way off the dance floor, with none of the celebrants allowing him to get through the outer circles. 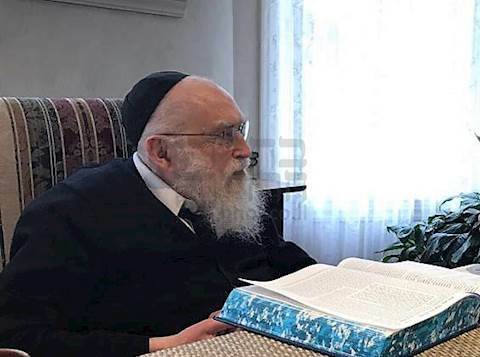 Rabbi Levin addressed the incident the following day in a pre-Shabbos discussion at the yeshiva, saying that while the guests on the dance floor weren’t Telshe students, they likely knew that he was a rosh yeshiva and should have let him through. “Even if they didn’t know who I was, if they saw an older man with a white beard, how could they have not stopped for a moment to let me pass by?” asked Rabbi Levin. Despite the exacting standards that he expected of his students and the fierceness with which he defended the honor of the Torah, Atlas, who lives down the block from Rabbi Levin, recalled his warm personality. The Chicago funeral for Rabbi Levin will be taking place at 4 PM CST at the yeshiva, with a second service taking place tomorrow at Beth Medrash Govoha in Lakewood. Rabbi Levin will be flown to Israel tomorrow afternoon and will be laid to rest in Bnei Brak.